GREEN BAY, Wis. -- A series of photographs of a person dressed as a creepy clown apparently prowling the streets of Green Bay, Wisconsin, is freaking people out, prompting calls to police, according to local news reports. Few details are available about the clown on the mysterious fan page,"Gags - The Green Bay Clown," but the first "sighting" apparently happened Monday around 2 a.m. 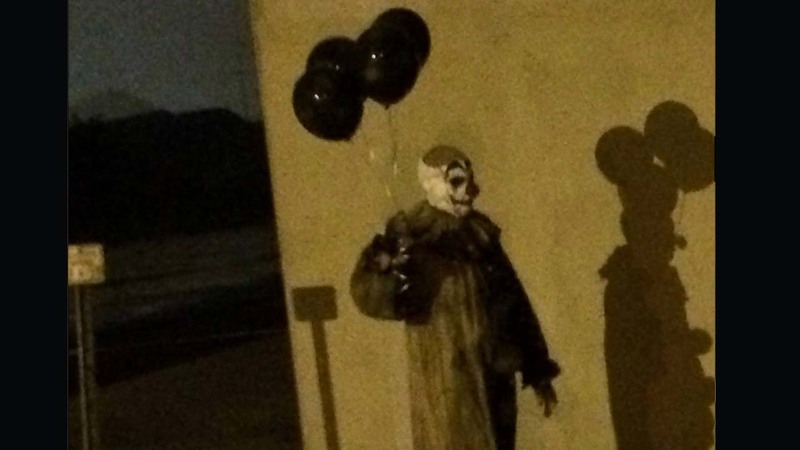 Seven photos are posted on the fan page, the clown carrying dark balloons and wearing what appears to be a very worn, dirty-looking costume and full face make-up near some type of parking lot beneath an overpass.